But this great war of aggression - called the creation of ‘New Middle East’ by former US President George W. Bush - has hit a rock in Syria. The massive proxy armies bought and equipped by Washington and its regional allies the Saudis, Turkey, Qatar and Israel, have been beaten back by a powerful regional alliance which supports the Syrian nation. The endgame in Aleppo involves a handful of foreign agents - US, Saudi, Israeli and others – said to remain with the last al-Qaeda groups in a tiny part of what was once their stronghold. The US in particular is keen to secure their release, because their presence is further evidence of the foreign command of what was claimed to be a ‘civil war’. Syrian, Iranian, Russian and independent reporters (including Maytham al Ashkar, Shadi Halwi, Asser Khatab, Khaled Alkhateb, Ali Musawi, Lizzie Phelan, Murad Gazdiev, Vanessa Beeley, Eva Bartlett and the late Mohsen Khazaei) have already told us quite a lot. What they said bore little resemblance to the western apocalyptic stories. For example, outgoing UN Secretary General Ban Ki-Moon, a close ally of Washington, claimed in his last press conference that 'Aleppo is now a synonym for hell'. Those claims were based on stories from NATO’s desperate fighters. Al Qaeda in Aleppo was crushed. All the anti-Syrian government armed groups in Aleppo were either the ‘official’ al Qaeda in Syria (Jabhat al Nusra aka Jaysh Fateh al Sham) or deeply embedded associates. When the US pretended to suppress Jabhat al Nusra in 2012 and 2016, all the ‘Free Syrian Army’ groups protested, saying ‘we are all Jabhat al Nusra’. 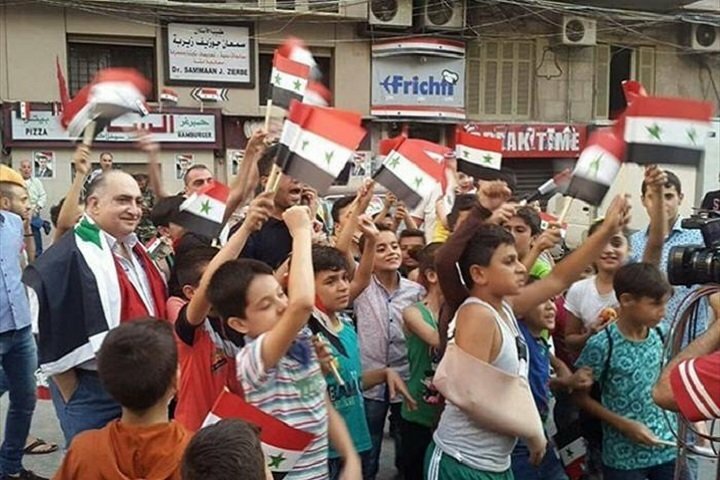 One might have thought that the US Government - which once claimed to be engaged in a global war against terrorism, in the name of 3,000 people murdered in New York back in September 2001 - would be as elated as those on the streets of Aleppo. They were not. The final evacuations of Aleppo - which included an exchange of civilians besieged for 20 months in the Idlib towns of Faoua and Kafraya for remaining NATO-jihadists in eastern Aleppo – were organized between Russia and Turkey. There was some serious sabotage of these agreements, but the understandings have so far stayed on track. Now Iran is engaged with Russia and Turkey, in three way talks. Practical matters are being discussed.